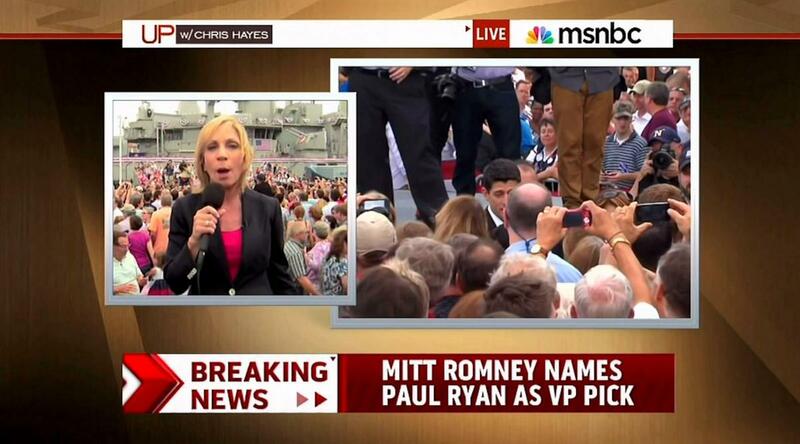 Minutes after Paul Ryan was introduced as Mitt Romney's vice presidential nominee, Saturday, a sour Andrea Mitchell dismissed the choice: "This is not a pick for suburban moms. This is not a pick for women." She said of his speech: "He talked about rights coming from God and they don't come from government." ANDREA MITCHELL: I think that you're going to see that they've decided that this is a base election. MITCHELL: This is not a pick for suburban moms. This is not a pick for women. This is a pick for the base.